Following two Sprint Championship events, the Pirelli World Challenge (PWC) returns to the SprintX format this week at Utah Motorsports Park in Tooele, Utah. This means a return to the two-driver format and a pair of 60-minute races scheduled for August 12 and 13. With only four races remaining to determine the 2017 SprintX Champion, the stakes are high as ten Porsche Motorsport-built racecars head to the 3.048-mile, 24-turn track for Rounds 7 and 8 of the ten-race championship. 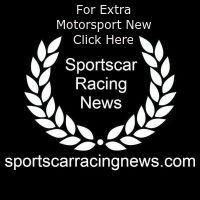 Six Porsche Cayman GT4 Clubsport MRs will be part of the count as they race in the 50-minute, Sprint format GTS/GT4 class. Porsche won both SprintX races here in 2016 when Preston Calvert (Potomac, Maryland) and Porsche Young Driver Academy graduate Michael Lewis raced a Porsche 911 GT3 R to the titles. Calvert returns in the No. 77 Porsche but with 2016 PWC GT Cup Champion Alec Udell (The Woodlands, Texas). Porsche factory drivers Patrick Long (Manhattan Beach, California) and Jörg Bergmeister (Germany) will fight for a second SprintX GT class win for Wright Motorsports in the No. 58 Porsche Consulting 911 GT3 R. Wright teammates Michael Schein (Glen Cove, New York) and Jan Heylen (Tampa, Florida) look to continue their winning ways in the No. 16. Porsche factory driver Wolf Henzler (Germany) makes his first SprintX start with Jon Fogarty (Bend, Oregon) in the No. 99 GAINSCO/Bob Stallings 911 GT3 R. This will be the first SprintX race for the GAINSCO “Red Dragon” too. The popular team has been focusing on the Sprint Championship up to this time. Porsche Young Professional Mathieu Jaminet (France) reprises his role as co-driver to James Sofronas (Villa Park, California) in the No. 14 GMG Porsche 911 GT3 R.
The Porsche Cayman GT4 Clubsport MR is the German marque’s official entry into international GT4 class racing and three of the mid-engine racers will challenge in the GTS-X class of the SprintX. The No. 47 NOLAsport Cayman GT4 Clubsport MR of Jason Hart (Flower Mound, Texas) and Matt Travis (The Woodlands, Texas) will face off against the Nos. 017 and 018 Case-It Racing Porsches. Adam Merzon (Greenwich, Connecticut) and Trent Hindman (West Long Branch, New Jersey) will race the No. 017 while Cameron Cassels (Canada) and Philip Bloom (New York, New York) are in the No. 018 for both 60-minute shows. Two Porsche 911 GT3 Cup cars are also entered for the Utah race in the GTC-X class. The No. 95 Tool Racing “Cup car” of Andy Lee (Colorado Springs, Colorado) and Erich Joiner (Manhattan Beach, California) will make its SprintX debut in Tooele while the No. 90 Autometrics Motorsports 911 GT3 Cup of Joe Toussaint (Houston, Texas) and Cory Friedman (Charleston, South Carolina) look for a victory in the class as well. Six Porsche Cayman GT4 Clubsport MRs, will also compete in Rounds 13 and 14 of the 50-minute, single driver format GT4/GTS races. Three of the cars running SprintX will likewise campaign the Sprint races with Case-It Racing entering its Nos. 017 and 018 for Merzon and Cassels respectively and Keith Jensen (Dorado, Puerto Rico) in the No. 047 NOLAsport car. Flying Lizard Motorsports brings its traditional livery and two young and fast drivers to Utah for Sprint-only races. Rodrigo Baptista (Spain) will campaign the No. 3 and Nate Stacy (Tulsa, Oklahoma) in the No. 14. Both are a constant threat for race wins. Making his class debut at UMC in a Cayman GT4 Clubsport will be Carter Yeung (Los Angeles, California) in the No. 7 GMG Racing entry. 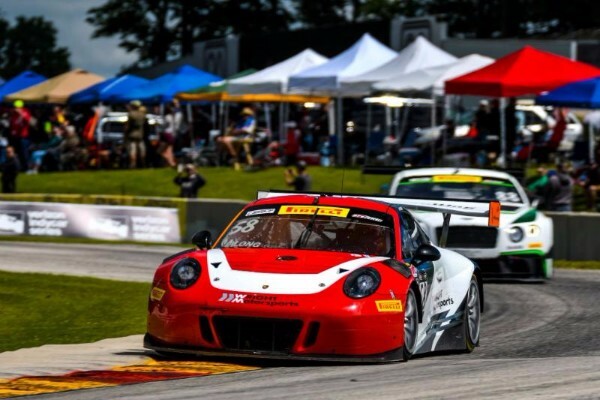 Total Car Count: 16 Porsche Motorsport racecars will be competing in the Pirelli World Challenge Grand Prix of Utah at the Utah Motorsports Campus. In the Sprint-X series (Rounds 7 and 8), five Porsche 911 GT3 Rs will challenge in the GT-X races, three Porsche Cayman GT4 Clubsport MR will race in GTS-X while two Porsche 911 GT3 Cup cars will run the GTC-X class. Six Porsche Cayman GT4 Clubsport MRs will contend for the GT4/GTS honors of the Sprint Championship (Rounds 13 and 14). GT Class – Three (3) Porsche 911 GT3 R.
GTA-X Class – Two (2) Porsche 911 GT3 R.
GT4/GTS-X Class – Three (3) Porsche Cayman GT4 Clubsport MR.
GTC-X – Two (2) Porsche 911 GT3 Cup. GT4/GTS Class – Six (6) Porsche Cayman GT4 Clubsport MR.